Following on from my Betty Crocker Cookie review, I thought I’d try out a few more brand’s cake mixes for comparison so you may see a few reviews over the coming weeks. 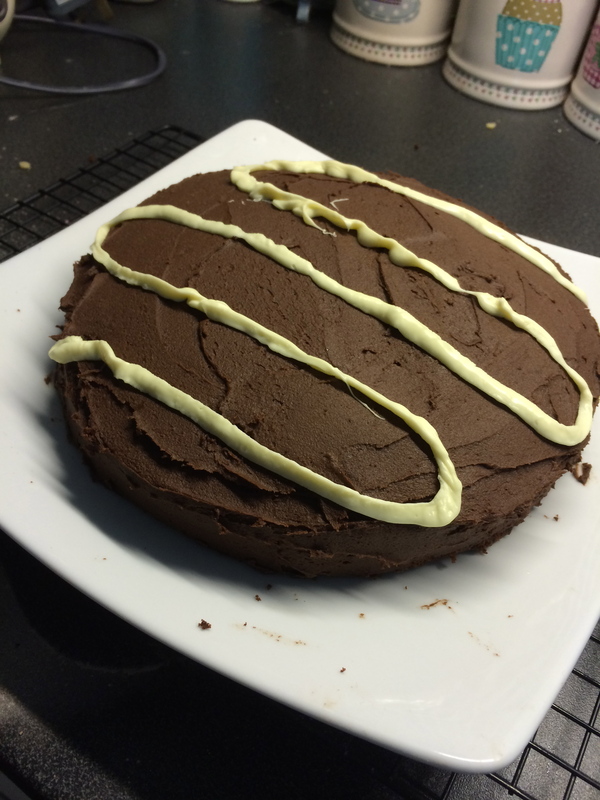 Next up was a chocolate fudge cake from Morrisons. 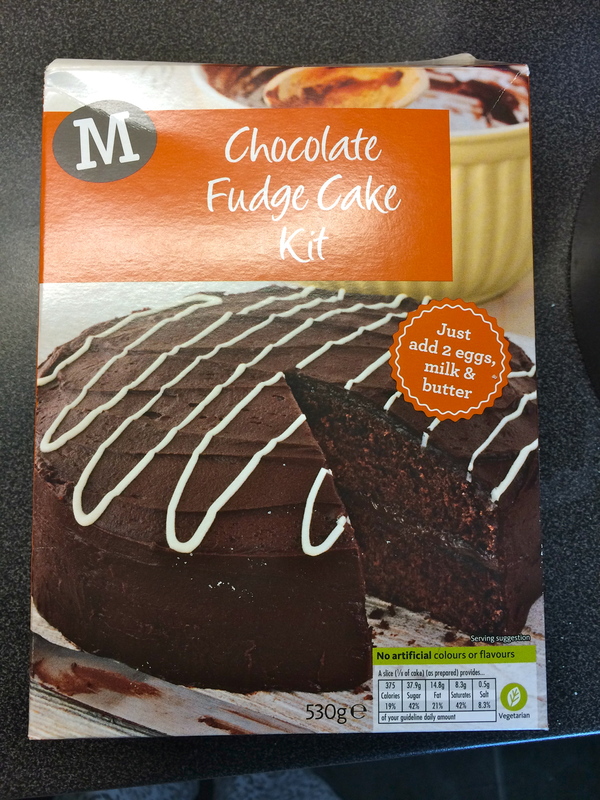 First impressions, you need to add more ingredients to this mix which to me, kinda defeats the object of buying a cake mix. I had to add eggs and measure out milk and butter which if I’m doing that isn’t saving me a huge amount of time or money than if I did it from scratch. 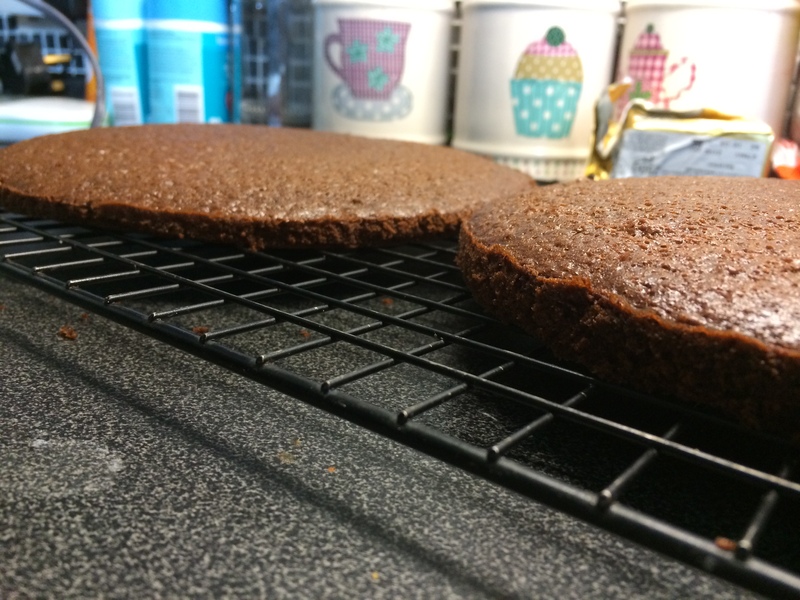 Plus the recipe calls for 6 inch cake tins. NO ONE OWNS 6 INCH CAKE TINS!!!!! 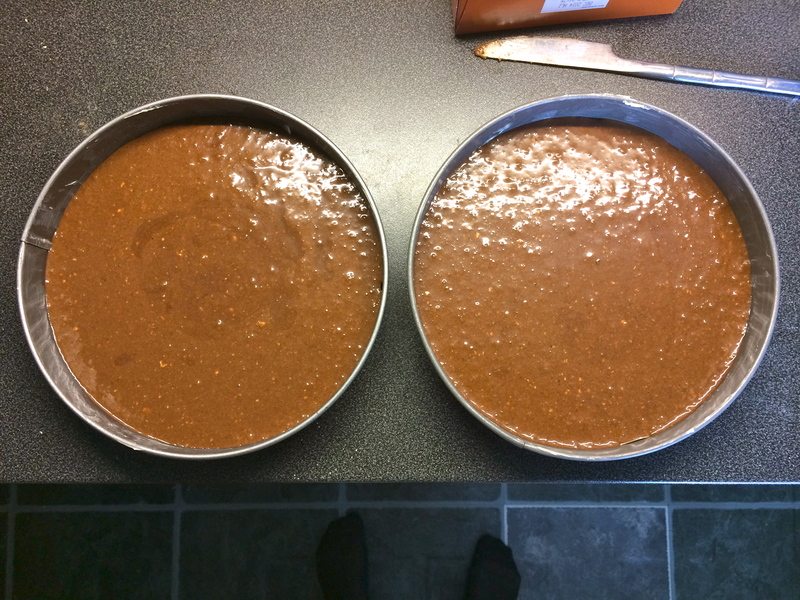 I hate recipes that ask for this – the standard is 8 inch which means I’m going to end up with a very flat cake. There are 3 packets in the box, cake mix, frosting mix and white choc chips. 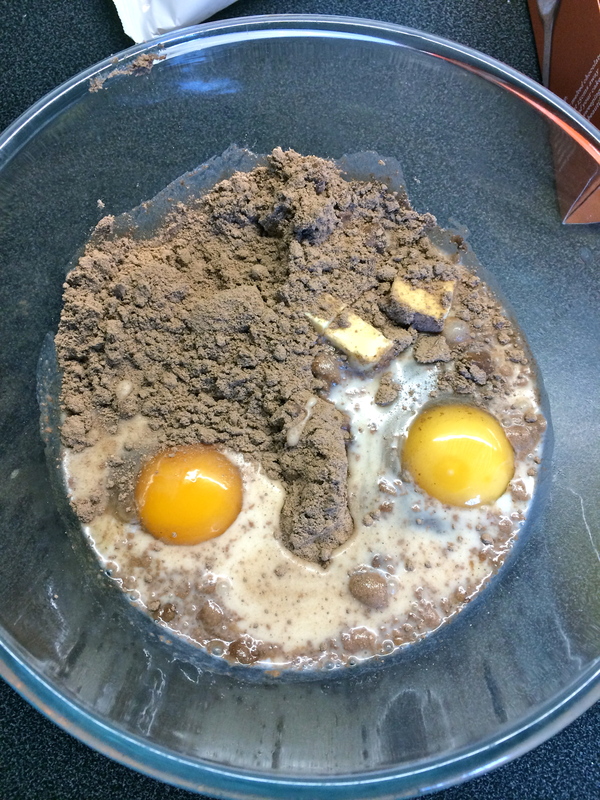 First step was to mix the cake mix with some of the butter and milk and 2 eggs. I reduced the amount of milk slightly as I was using large eggs instead of medium. 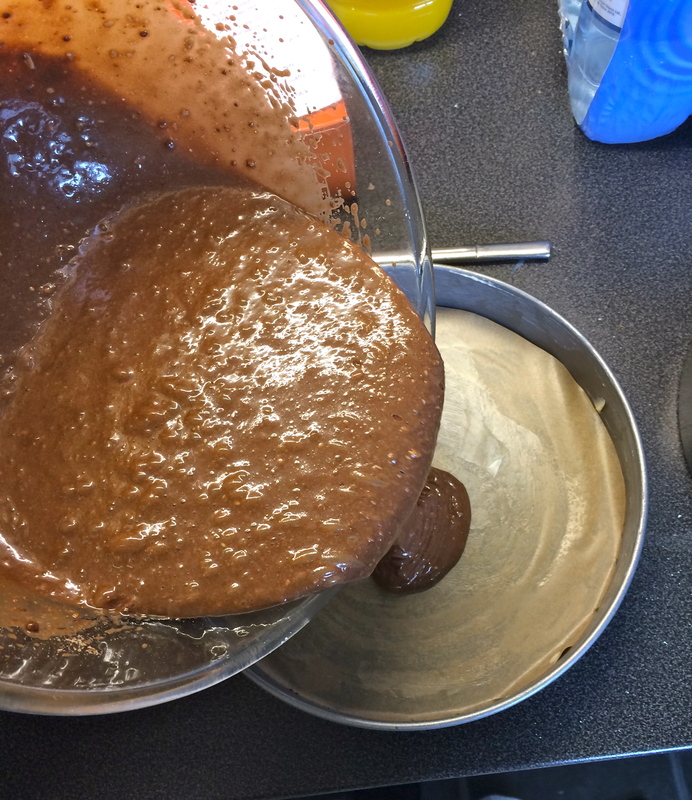 Divide the mix into your two greased tins and bake for 20 – 25 minutes. 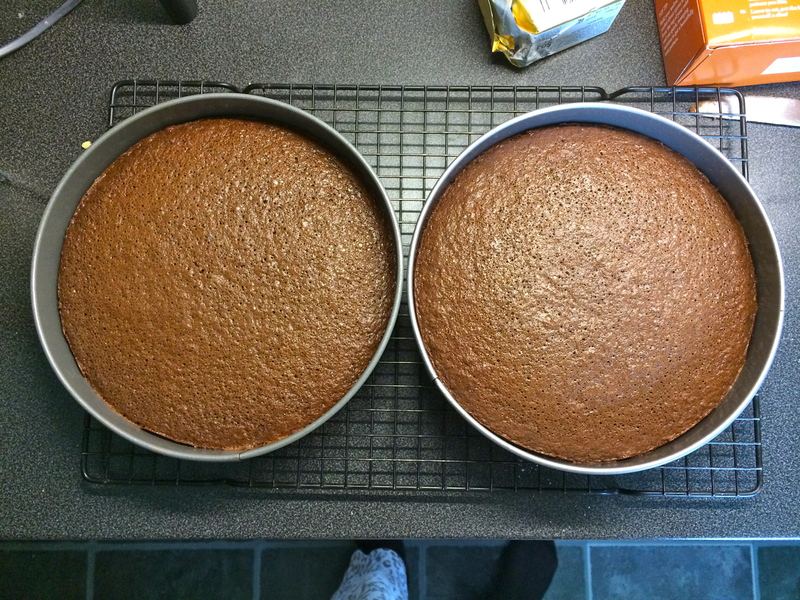 The cakes baked pretty evenly which was good but as predicted were very flat! Whilst they were cooling, I made the frosting. 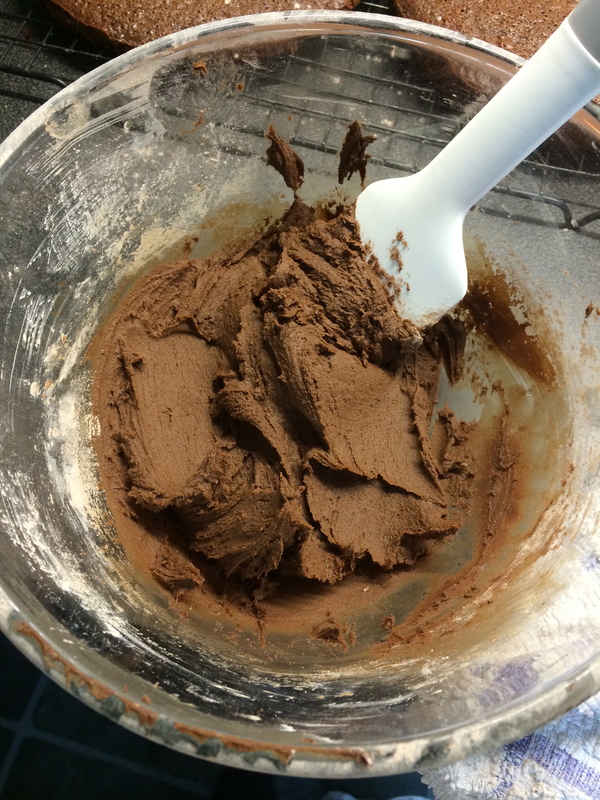 Again you had to add butter and milk so all you are really getting is some icing sugar and a bit of cocoa powder. I spread the frosting between the two cakes and on the top and sides then melted the chocolate chips in the bag in some hot water as directed, snipped the corner and drizzled the chocolate over the top. Doing it in the bag was a bit fiddly to be honest so it ended up looking a bit of a mess! The cake itself was ok, it was chocolatey which is the main thing you want from a chocolate cake I guess! I probably wouldn’t buy this product again.